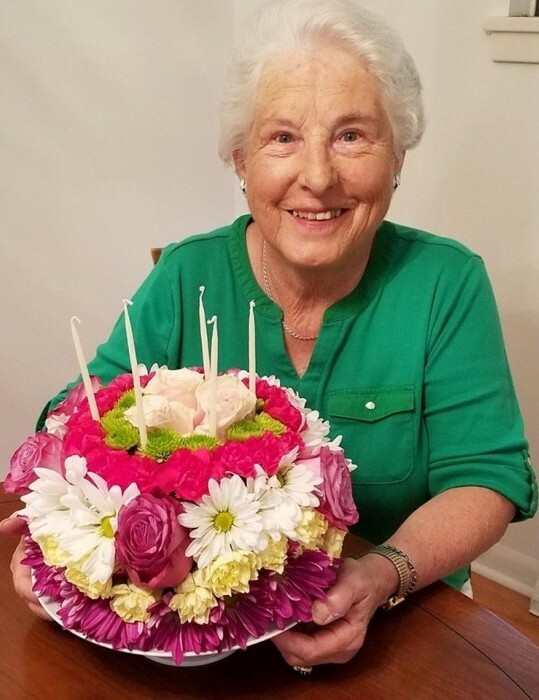 Obituary for Falba "Lynn" Forsberg | Drinkwine Family Mortuary, Inc.
Lynn Forsberg, 80, of Littleton, died January 30, 2019. Born July 23, 1938 in Richmond, Texas to Milton and Falba Covell. In addition to her parents she was preceded in death by husband, Paul M. Forsberg; and brother, Orin Covell. Survived by daughter Keely and husband Stephen Hertel; son, Dave and wife Jessica Forsberg; grandchildren, Brendan, Eric, and Kevin Hertel, Lauren, Hannah, and TJ Forsberg; sister, Ann Council; brother-in-law Jeff Council, sister-in-law, Becky Covell; and many other nieces, nephews, family and friends. Memorial contributions may be made in her name to St. Mary Catholic Church at the above address, and/or the Alzheimer's Assoc., Rocky Mtn. Chapter, 455 Sherman St., Ste. 500, Denver, CO 80203. Lynn taught PE in CA, TX, and CO. After retirement, she was a volunteer teacher for 13 years, teaching special reading to elementary students in the Littleton Public Schools district. Beyond teaching, she loved outdoor activities including biking, hiking, camping, golfing, and her favorite, skiing. Lynn also loved to travel. She took each of her 6 grandchildren on a Road Scholar trip to different locations around the US. She and Paul loved their 2 week bicycle adventures in Austria and Holland. She also enjoyed other international trips to England, Sweden, Italy, Germany, France, and Belgium. Most of all, she loved being called "grandma". She attended every activity her grandchildren were involved in when she could, and tried to instill in them her love for the outdoors. Please come to a celebration of life for Lynn, Fri Feb 22nd.